But Russian Deputy Foreign Minister Sergei Ryabkov said the action amounted to "complicity with terrorism". The incident comes after the US shot down a Syrian fighter plane on Sunday and another drone earlier this month. The F-15 plane downed the drone around 00:30 on Tuesday (21:30 GMT Monday) north-east of Tanf, an outpost of the US-led coalition, according to a US military statement. What do we know about the drone? Military officials who spoke to CNN described it as a Shahed 129, a model unveiled by Iran in 2012. "They were threatening our forces on the ground," the US official quoted by AFP said. "Their course was on a run toward our folks to drop a munition on them." The last drone the US says it shot down was also reportedly destroyed near Tanf after firing on coalition forces. Tanf has been used by Western special forces as well as Syrian rebel forces. The Syrian plane destroyed on Sunday, a Su-22 fighter bomber, was hit after reportedly dropping bombs near the town of Tabqa in Raqqa province. 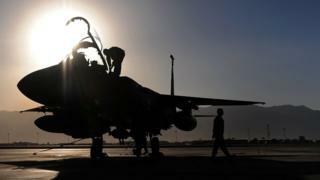 It suspended a hotline set up to avoid clashes between US and Russian aircraft in the region. With IS under growing pressure in Raqqa the fight is on for who controls the territory after its demise, our correspondent says. Iranian-backed pro-Syrian regime forces are pushing forward on a number of fronts, and the US is equally eager to resist what it sees as a widening of Iranian influence. 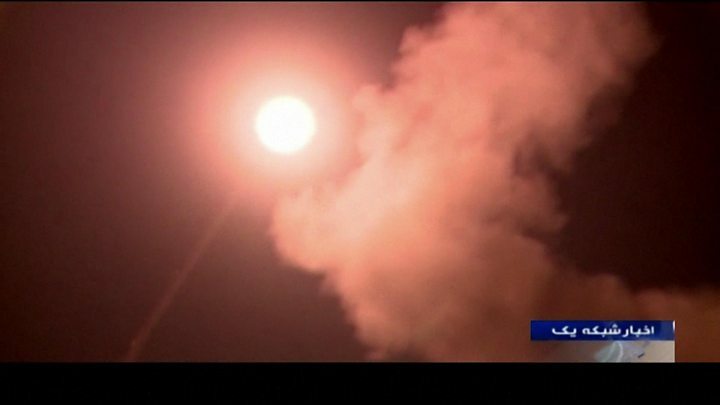 Iran says it attacked IS fighters in eastern Syria with long-range missiles on Sunday. So the tensions locally are mounting between the US and pro-regime forces; between the US and the Russians; and more broadly between Washington and Tehran. By accident or design, any one of these sources of friction could prompt a much more significant military encounter, our correspondent adds. Originally from Bahrain, Binali joined IS in 2014 and played a key role within the group acting as its top religious official and offering guidance to its leaders and militants alike, BBC Monitoring reports. US Central Command says he was killed by an air strike on 31 May in the eastern town of Mayadin. IS supporters went online to announce his death.